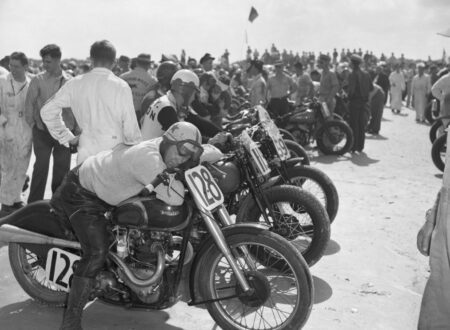 I’ve never personally had a sleep on a motorcycle, though this chap does make it look rather comfortable. 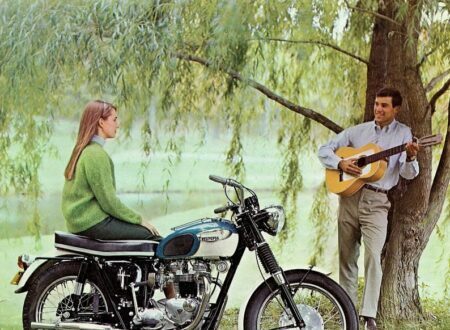 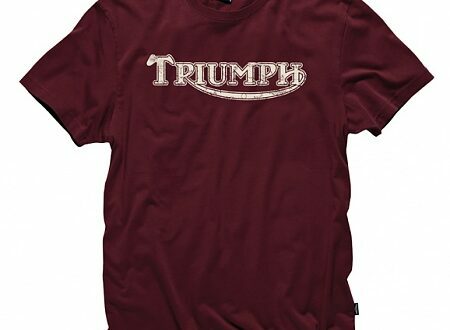 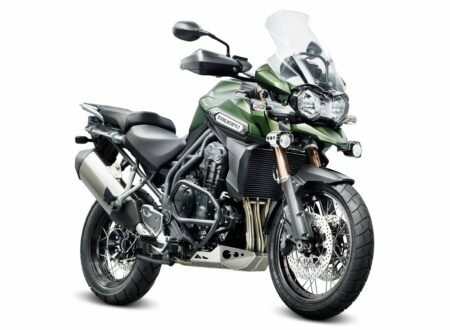 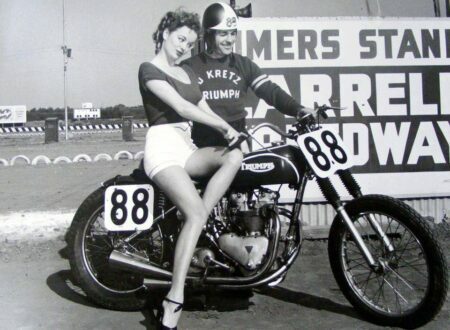 I’m happy that Triumph still produces Bonnevilles and Scramblers, it’s nice to know that we still have that direct link to a time in the past when motorcycles had to be kick-started and leather trousers were a perfectly acceptable piece of attire. 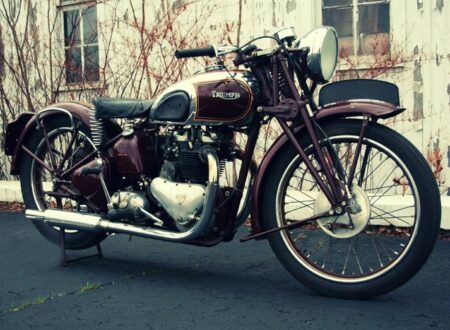 It’s great to see the manufacturing methods employed during the 1940s (or 1950s) in this film, the total lack of automation and resulting man hours required to build a motorcycle is remarkable to see. 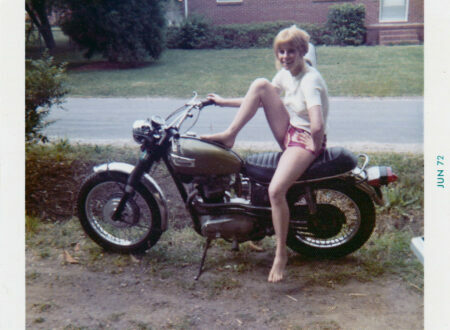 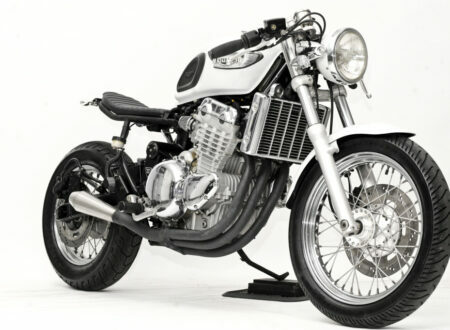 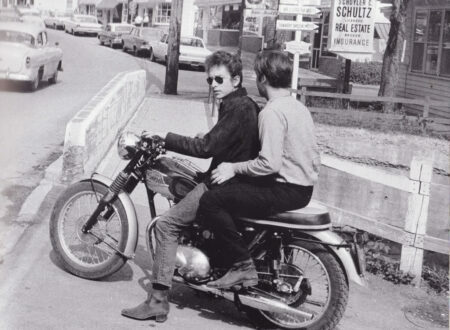 Bob Dylan spent much of the mid-60s on his beloved Triumph Tiger 100SS on the roads near his home in Woodstock, New York. 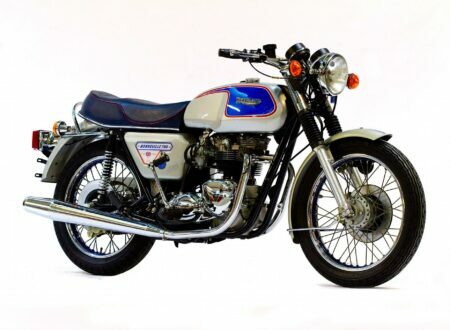 Triumph created the 1977 Triumph Silver Jubilee to celebrate Queen Elizabeth II’s Silver Jubilee, the model was highly popular and remains a collectors item with only 2,400 examples ever having been built.